There was plenty of big business news this week, from Disney’s long awaited opening of its signature theme park in Shanghai to Microsoft’s unexpected acquisition of LinkedIn. Chances are you have seen plenty of news about both – so true to the theme for this weekly email I won’t be spending much time on either. 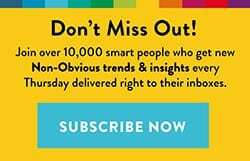 Instead, this week’s underappreciated stories will take you inside the first AI produced script, several new products designed to help us pause the Internet (and why we need them), predictions from Leo Burnett for the 25 of the most creative advertising campaigns of the year probably destined to win Cannes Lion’s next week, and why one of the biggest video game makers in the world skipped having a booth at the hugely popular E3 video game industry trade show. 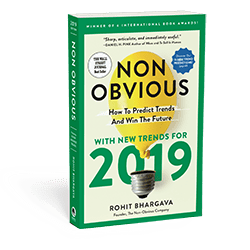 All that and a recommendation for an important new book about ego you need to put on your summer reading list are featured in this week’s Non-Obvious Insights. What would happen if you fed Artificial Intelligence with the screenplays of dozens of well known science fiction films and then challenged it to create a screenplay of its own? That’s the subject of this fascinating project and the resulting short film called Sunspring. The short film is confusing, disjointed, mesmerizing and worth spending nine minutes watching. The upside is that by the end you’ll feel pretty good that even if AI can write news stories indistinguishable from human reporters – we thankfully still need humans to craft a great story on film. At least for now. 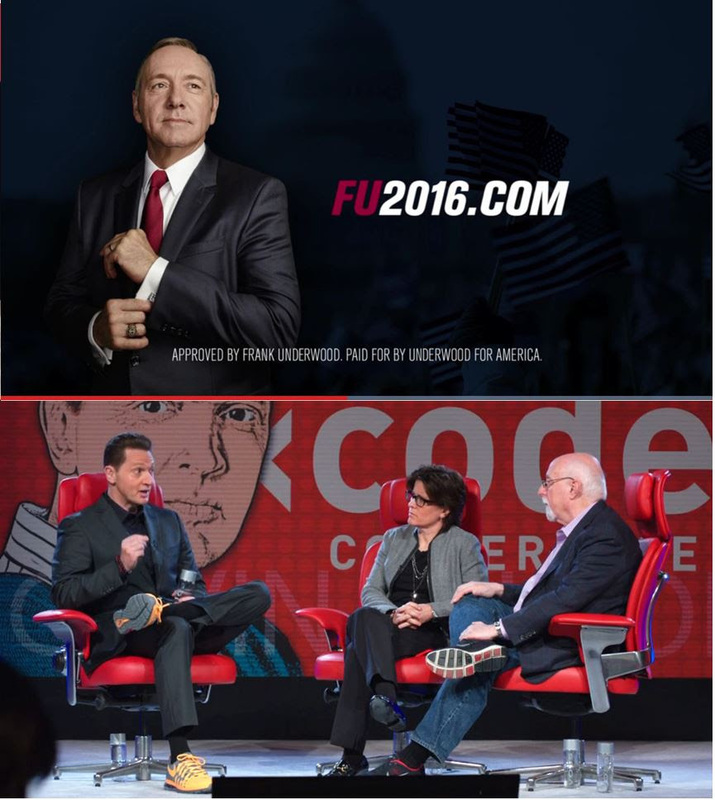 When Netflix launched its campaign for the new season of House of Cards by creating faux ads to have Kevin Spacey’s character of Frank Underwood declare his intentions to run for office in real life – it was seen as a brilliant campaign and criticism of the unchecked drama of the real life presidential campaign. This past week, a story in the New Yorker added context to this theme by illustrating just how closely the HBO drama Silicon Valley actually mirrors the reality of the region it aims to parody. Art has always imitated life, and vice versa … but we are in the midst of something far more circular where sometimes it is becoming hard to see where one ends and the other begins. After years of hearing the advice that we need to limit our time with our devices and stop letting those pesky alerts and chimes rule our lives – some tech companies are taking this advice another step further. Just in time for the summer, the Eero Wi-Fi system featured in the article linked below follows in the footsteps of Circle With Disney (launched last year)and promises to add a new layer of control for parents, allowing them to set screen time limits for kids, prevent kids from using the Internet when they are supposed to be asleep and even revoke access for all devices associated with a certain person. With all the new research about why you should let your kids be bored this summer, I’m looking forward to trying this in the coming months with my kids … and myself. If you have the time for a lunchtime or afternoon diversion – I highly recommend bringing out your headphones and enjoying a 15-20 break with this article linked below. 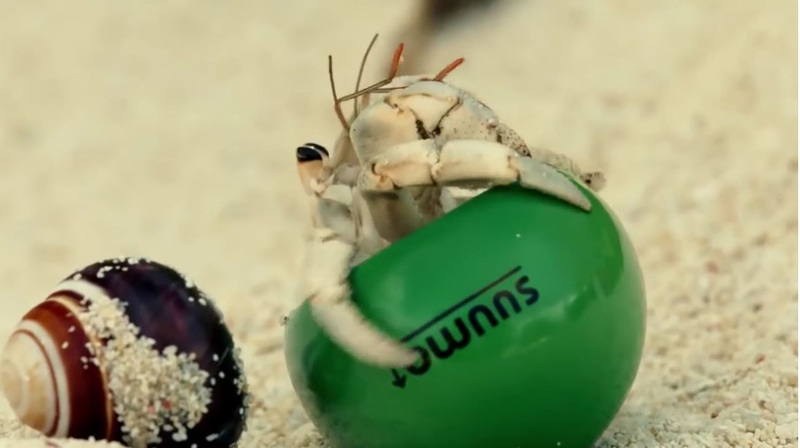 In it, AdWeek features 25 predictions for Cannes winning campaigns from agency Leo Burnett’s annual Cannes Predictions list. 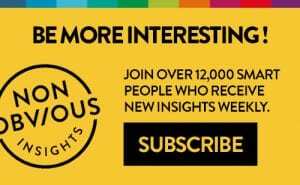 Each campaign has a video with a short description and there are some great ideas there to fuel your creativity or just entertain you over a slightly longer lunch. Enjoy! For anyone who has spent any time working in digital advertising, the flagrant lack of demand for any real metrics against the effectiveness of TV advertising has long been a source of frustration. In their latest piece of research, Google claims that YouTube is bigger than television and that it delivers a higher return on investment than TV advertising the majority of the time. 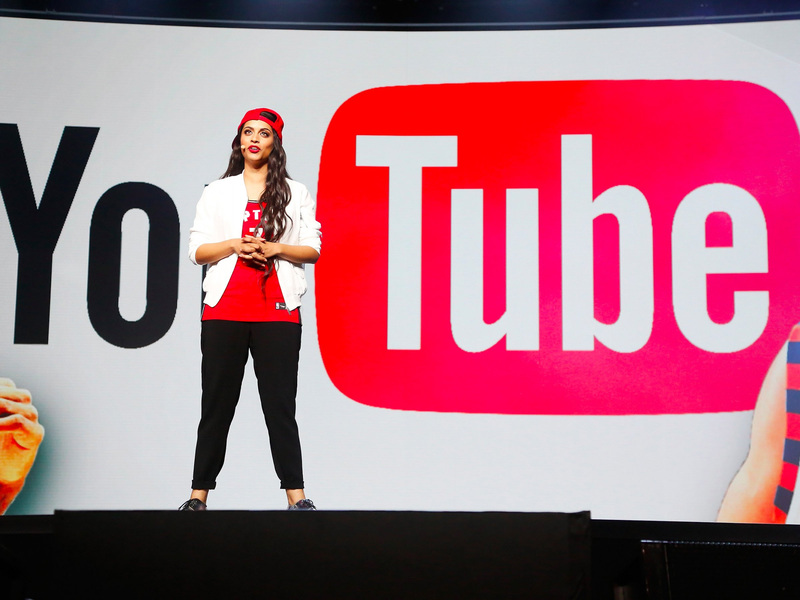 While the research is clearly biased toward Google trying to encourage more ad dollar flow, smart marketers will likely continue to embrace the highly measurable YouTube platform and we will likely see many more stories and research like this. The world’s biggest trade show for the computer and video gaming industry is taking place this week in Los Angeles, but one of the biggest video game makers (Electronic Arts) is skipping the expensive trade show booth, electing instead to set up its own experience just outside the Convention Center in LA. It is a move that Lenovo also has implemented for several years running at the Consumer Electronics Show in Las Vegas to great success. 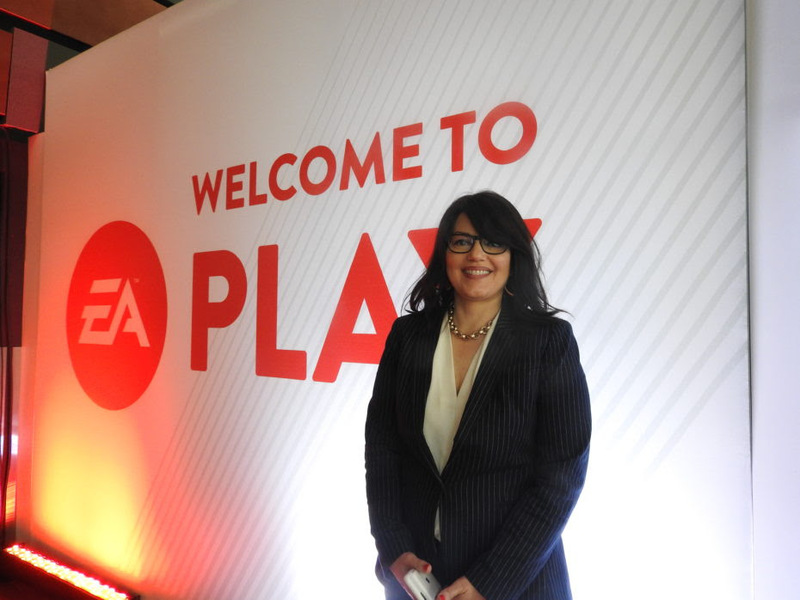 As EVP of Global Publishing Laura Miele explains in the interview linked below, it was an attempt for the brand to create a more player centric exhibit and also stand out. The strategy is one worth remembering for anyone considering how to stand apart in a crowded marketplace. Sometimes the best way to stand out is to go somewhere nearby and create your own experience. There aren’t many books that I finish reading and immediately wish I had thought of writing. This was one of them. The book is full of tweet-worthy quotes like “Ego is stolen. Confidence is earned.” or “Impressing people is utterly different than being impressive.” – and the format of the book mixes these pithy comments with stories from history of leaders who were able to manage their egos on their paths to greatness. It is hard to imagine a more timely topic for a book. We live in a time when big data inspired narcissism allows each of us to create our own versions of MEdia celebrating ourselves and reinforcing our own beliefs. In the backdrop we watch egomaniacal leaders battle for (or win) Presidencies in the US, Brazil, Philippines, Guatemala, Austria plus global sports organizations like FIFA and the list goes on. At the same time, millions of millennials are entering the workforce with new expectations about the meaningfulness of work and their own places in it. Yes, all of this makes Ego Is The Enemy more than a well timed idea … it manages to also offer exactly the sort of message more people need to hear. Perhaps the only thing holding the idea back is the unapproachable cover which belies the currency and relevance of the idea. Do not judge this rare and brilliant book by its underwhelming cover. 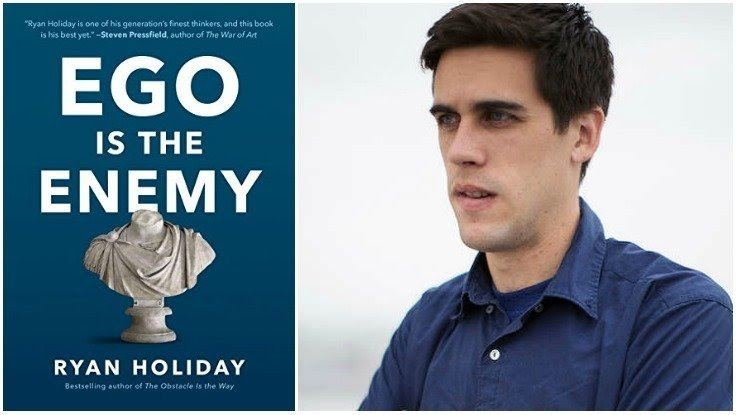 To transform your thinking actually help you be better, Ego Is the Enemy may be the most important book you read this year.